The installation is a frozen moment and a scheme for what is to come. Two out of a thousand paths are drawn in space. Movements of music, dance, and geometry are expressed as lines punctuated by points. These points are constructed of complex mirrored pieces of geometry that capture and reflect the sun from the skylight above. The constructed pathways begin as a regularized hexagonal grid fit to the dimensions of the ribbed concrete wall of the original Guzzetta Hall. This construction provides a place for connection so the work can be hung. The two pathways reach from the concrete wall in a branched modulation, bending away from and towards new connection points. 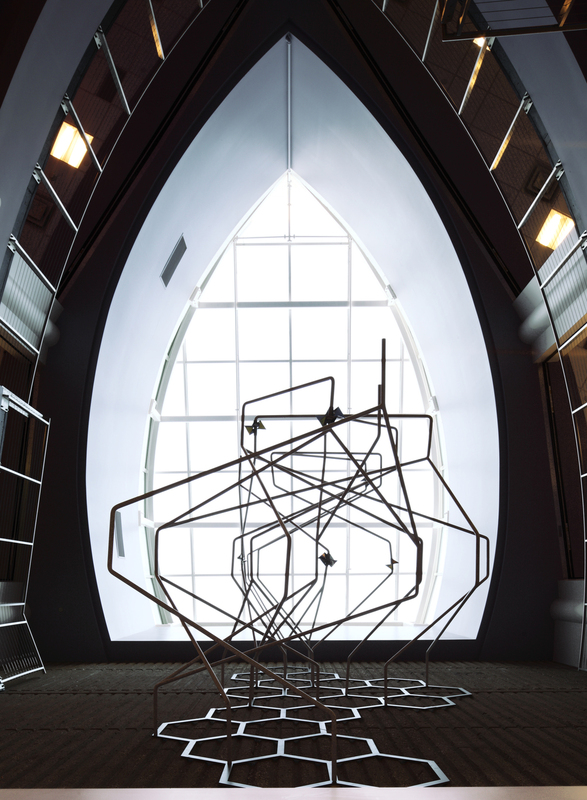 The work, generated with scripted geometry, is 23 feet high, 11 feet wide, and 10 feet deep. It is constructed out of aluminum tube, waterjet cut plate, and polished stainless steel reflectors. Our interest in the work and our search for form comes from a desire to express movement and sound. We looked to Wassily Kandinsky's seminal text Point to Line to Plane to frame the work within a critical context. 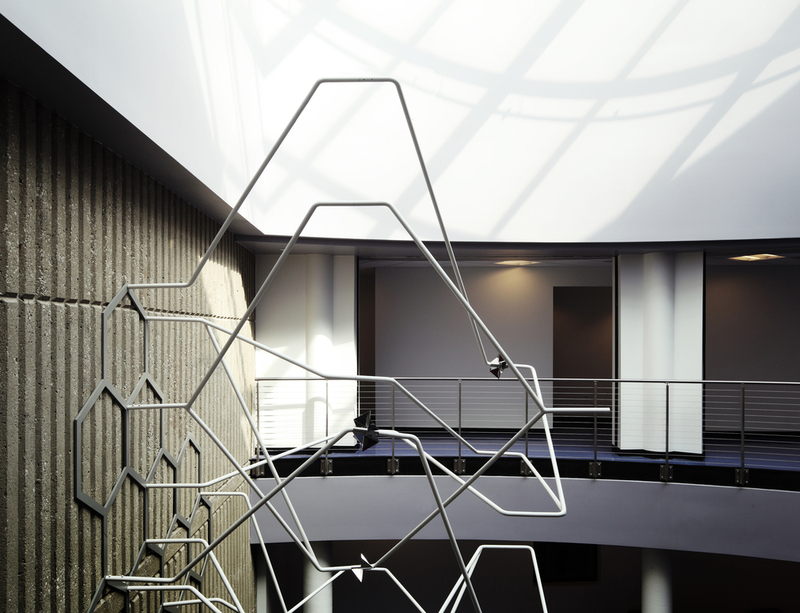 Point to Line is installed in Guzzetta Hall in the School of Dance, Theater, and Arts Administration at The University of Akron and was funded by the Ohio Arts Council. Peter Dorsey helped Freecell with its development.